Memories of Greece through my kitchen window. 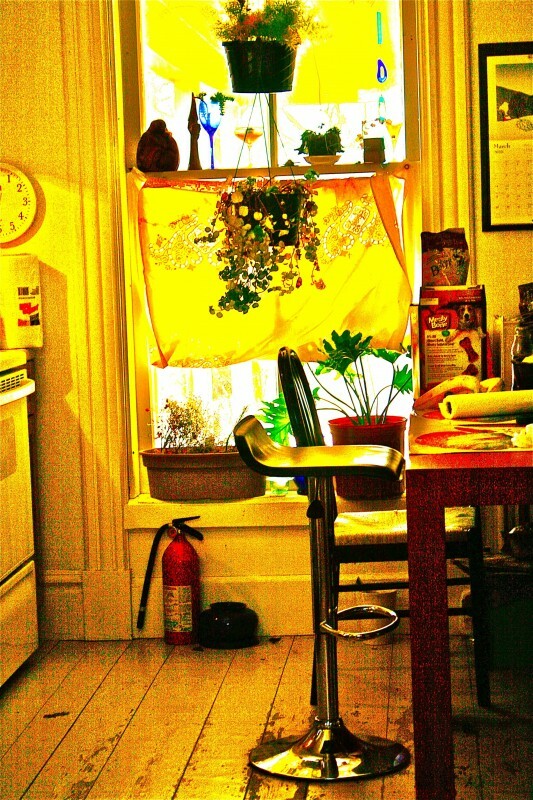 This is my kitchen window in Middlebury, Vermont. My curtain is from Greece. People there would put curtains in their doorways, to let air flow, but provide privacy. This curtain brings back the memory of Greece, but with what is there. This curtain makes me feel like Greece is on the other side of my window.